As ash falls on Nyssa, Garion grapples with his sorcerous powers. Wracked with guilt for what he did to the man who killed his parents, Garion needs to understand his new abilities. How he can live with the consequences. As Garion deals with what type of man he will become, Ce’Nedra can’t help the burgeoning attraction swelling in her heart for the young man. 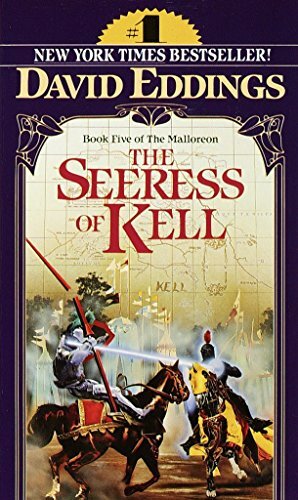 She knows nothing can come of it, as a Tolnedran Princess, she’ll marry a man to enhance the empire and her family’s goals. How can she love a peasant? What future can they have? As the company heads north into the haunted lands of Maragor, Garion and Ce’Nedra must both come to terms with adult responsibilities. All while dealing with mad gods, dangerous assassins, and bloodthirsty monsters. The Magician’s Gambit continues the growth of Garion. Adult responsibilities, represented by sorcery, are thrust upon him. And now he has to figure out what to do with them. The decisions he makes will shape the sort of man he’ll become. Eddings weaves these themes into his story with skill, tying the coming of age plots into the fantasy quest adventure narrative he is weaving. The characters continue to be delightful. As always, Eddings can straddle that line between the humors and the serious, between the dark and the bright. The Belgariad series is one that both young people can read and enjoy but has more mature themes for us older folks to enjoy. This is a fantasy series for all ages to enjoy, but it will especially resonate with young boys! 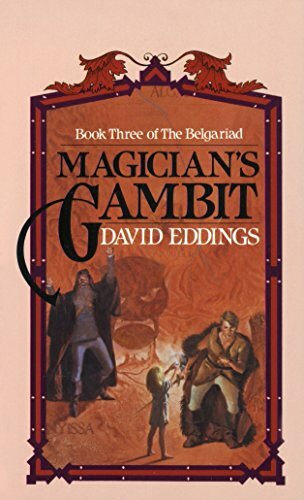 You can purchase Magician’s Gambit from Amazon!